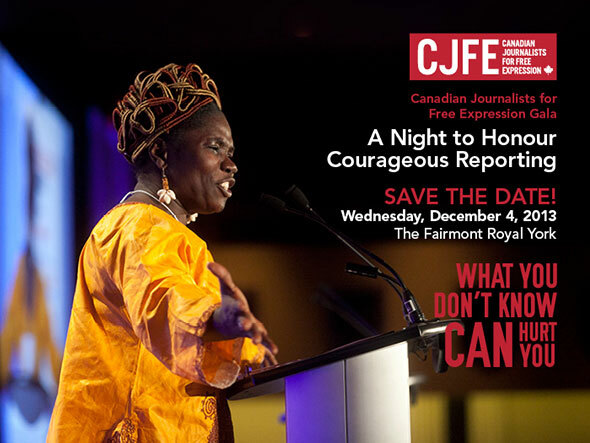 Honouring the courage and dedication of journalists from around the world, the CJFE Gala is our biggest annual event. This will be the 16th annual Gala, an evening that serves as a reflection of the events that have taken place over the past year, and highlights the importance of freedom of expression both in Canada and around the world. Tickets are now available! Be sure to purchase your tickets early, to take advantage of our early bird offer, which ends September 30.